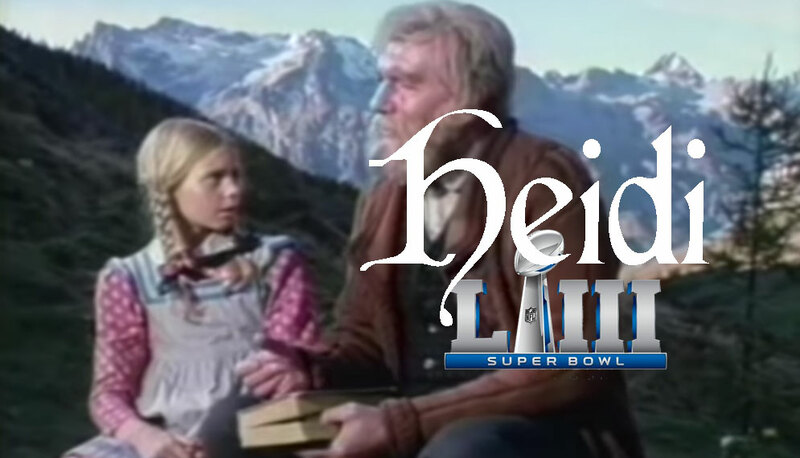 In a nod to feminist movements across the world including the popular “#metoo” campaign, CBS has decided that it won’t air the Super Bowl due to its “toxic masculinity” and instead will air the beloved classic film “Heidi”. It will be the same film that was aired over the end of the Raiders-Jets matchup in November of 1968, and will be called the “Heidi Bowl”. No bone-crushing action, no hald-naked cheer-leaders, and no beer commercials. The only commercials that will be allowed are the condescending Gillette commercial and some other feminist nonsense. Gillette stadium has already announced that it will no longer host problematic football games and instead will only host enormous Jane Austen book clubs. Most people polled were happy about the change. CBS said they will be scrolling the score and updates along the bottom of the screen during the most inopportune times in the film.